‘Kids’ plus ‘camping’ equals happy holidays and the adventure starts right here. 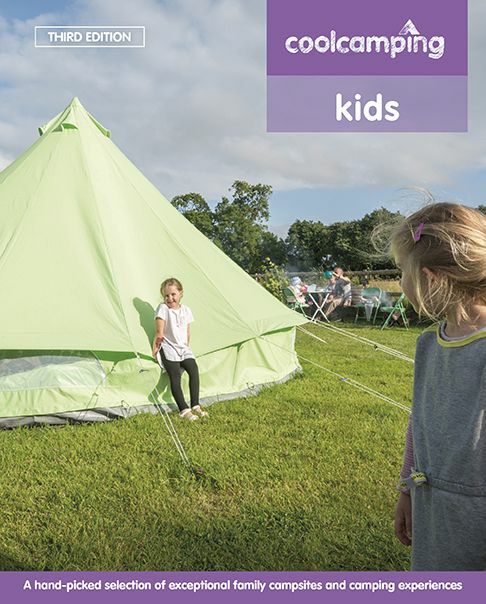 This expanded and fully updated third edition of Cool Camping: Kids reveals Britain’s 80 best family sites in full-colour glory, each carefully selected to guarantee happy kids. Treat them to onsite watersports or horse riding, camping in sand dunes or fun lessons on outdoor survival – and, of course, loads of open space to run round and round until they fall over dizzy. Whatever their age or preferences, you’ll be able to find the perfect pitch and enjoy some good old fashioned family time. Each campsite review details all the important practical information including ‘onsite fun’, ‘offsite fun’ and the nearest family-friendly pubs and cafés where you can find a bite to eat. This essential guide also features other ideas to get the most out of your canvas adventure, with sections on campsite games, cooking with kids, family festivals and hiring a campervan.